Alhamrani-Fuchs Petroleum of Saudi Arabia, Ltd. (Alhamrani-Fuchs) is a leading manufacturer and marketer of lubricants in Saudi Arabia and throughout the MENA (Middle East and North Africa) region. Alhamrani-Fuchs produces and markets lubricants, including motor oils; transmission, steering, and brake fluids; greases; and a multitude of other specialty lubricating products for all types of vehicles—automobiles, motorcycles, buses, trucks, and railways. It also supplies lubricating materials for all types of industrial, agricultural, and construction machinery and equipment. Alhamrani-Fuchs serves over 600 industrial customers in fields and industries as diverse as petrochemical, cement plants, building materials, fertilizers, food processing, crusher plants, haulage, and power generation. Alhamrani-Fuchs is a joint venture of the Alhamrani family group of companies (Alhamrani Group) and Fuchs Petroleum SE of Mannheim, Germany. The Alhamrani Group has long been one of the largest conglomerates in Saudi Arabia, with interests in banking, manufacturing (steel drums, clay bricks, building materials), automobile sales, and real estate. In 1979, the Alhamrani Group entered the lubricants market, and quickly became one of the leading providers of lubricants in Saudi Arabia. In 1988, the Alhamrani Group decided to become not only a supplier but producer of lubricating products. Thus it built at Yanbu, Saudi Arabia, a state-of-the-art blending plant, which is still today one of the largest plant of its kind in the MENA region. Fuchs Petroleum SE of Mannheim, Germany (Fuchs), is the largest independent producer and supplier of lubricants in the world, which operates in more than 100 countries on five continents. It is comprised of more than 50 operating companies and 34 production plants around the world. 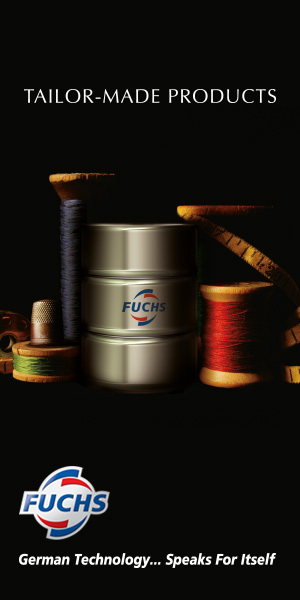 Unlike many other lubricant producers that are merely subsidiaries of larger companies in the oil business, Fuchs specializes solely in lubricants. By focusing on the development, production, and sale of lubricants and related specialties, Fuchs differs from the vertically integrated mineral oil companies, whose business model is aimed largely at broad sales channels. FUCHS concentrates on technological leadership in important niches and premium business segments. Within the scope of this strategy, tailor-made products with high customer benefit are developed and manufactured. This product portfolio is rounded off by intensive customer support. Additional advantages of FUCHS are the independence, size, international presence, strong R&D and the strength of resources. The Fuchs portfolio encompasses 10,000 products for all applications and industries, including mining, steel production, agriculture, the automotive industry, transport, mechanical engineering, everyday consumers and more. The broad range of products on offer covers the entire lubricant requirements of more than 100,000 customers and enables supply and support to come from a single source. To lead in lubricant innovations is the vision of the management of AFPSA. The company continues to take its shape in forms of technical seminars on lubricants and modernization of its manufacturing facilities. This quest is the vision of making AFPSA a leader in the trend of lubricants engineering in Saudi Arabia and the MENA region. "We are a joint venture between the Alhamrani family group and Fuchs Petrolub from Germany, which is the number one independent lubricant company in the world. It just specialises in lubricants; it is not like other companies that deal in the upstream of oil refining. They are specialised in the lubricants business. They carry a little over ten thousand products from car oils to grease, to the most sophisticated and specialised products through a company called Lubritech. We manufacture their products here. We have a plant in Yanbu that produces around 30% of the market. We Produce and sell our Fuchs branded lubricants in domestic Saudi Market as well as exporting to 26 countries in the MENA region." Constructed in 1988, the blending plant at Yanbu is one of the largest facility for the production of lubricants in the MENA region. Encompassing 100,000 sq. ft., it has a present production capacity of 150,000 metric tonnes per year. The plant is presently undergoing expansion that is expected to raise production to 200,000 metric tonnes by the end of 2015. The production of the Yanbu plant is exported to 26 countries in the region in addition to domestic Saudi Arabian market. The plant is also unique in being the only environment-friendly blending plant in the Middle East and Africa, certified by ISO-14001. 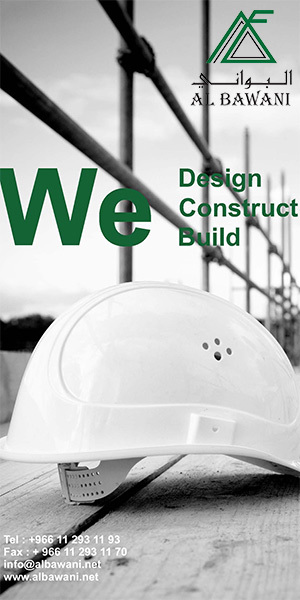 Alhamrani-Fuchs offers a full range of support services to clients. The Alhamrani Group was originally formed in 1965 as a family controlled group of companies engaging in a variety of business fields, from banking and securities, to importing automobiles, retail sales, and manufacturing. The Alhamrani Group entered the field of lubricants in 1979, and quickly rose to one of Saudi Arabia’s lubricant leading suppliers. In 2001, Alhamrani-Fuchs introduced one-of-a-kind “Fuchs One-stop” service stations to Saudi Arabia, to provide fully faceted car care services in the most pleasant circumstances. Services include oil changes (using Fuchs Super GT, which is the company’s flagship motor oil and the TITAN SUPER SYNTHETIC MOTOR OIL), tire changes, wheel changes and alignment, and other minor, under-chassis mechanical work. For all Nissan owners, three of the stations are providers of ‘Authorized Nissan Express Service Centers’. The first Alhamrani-Fuchs Car Care Center opened in 1998, and today there are over 60 branches kingdom-wide. Alhamrani-Fuchs employs more than 150 fully qualified technicians, mechanics and electricians. The one-stop network in Saudi Arabia covers Jeddah, Riyadh, Dammam, Jubail, Hofuf, Tabuk, Makkah, Yanbu, Taif, Buraidah, Gizan Najran and Unaizah. Furthermore, it is expected to continue to extend its reach significantly over the next few years, facilitating the lives of those in need of quality service wherever they may be. As the technical requirements of machinery and equipment grows ever more sophisticated, the requirements for specialized lubricants to meet specifications grows even more complex. Fuchs-Alhamrani works closely with all its customers to blend exactly the type of lubricant necessary to meet the most stringent operating conditions i.e. heat, friction, and other requirements to produce the best lubricants for the job. This has included, for example, biodegradable lubricants, as well as safe lubricants for food industry equipment. "Part of our innovation is to go to them with certain tools to show how much they can optimize their oil consumption rather than just doing it the old fashioned way of checking after a month or so and when the oil is too thick, just throwing it away. There are tools now that will save 30% of the oil at least 25% of the time. When you multiply that for an industrial complex, you will find a lot of savings can be made. Thus our innovation comes from the tools that we use in helping industries optimize their costs and efficiency by efficiently planning the preventative maintenance program." For every item monitored, information is collected and stored in a comprehensive database that allows essential information, maintenance history and working environment to be reviewed. This system and the database as a whole is shared and followed by other Fuchs affiliates worldwide. Based on sophisticated laboratory and computer technology, the CENT report will highlight potential problems at very early stages. Maintenance planning decisions can then be made objectively, quickly and efficiently with the risks of failure considerably reduced and potentially eliminated. Equipment that may benefit from CENT includes engines, gear units, compressors, turbines, hydraulic systems, machine tools, transmissions, pumps and other lubrication systems.